Excellent mix of lots of older deep house gems by 60nine coming from Zagreb, Croatia. Deluxe 4 hours long house & nu-disco masterpiece by Mr. Move D live from legendary Panorama Bar in Berlin. 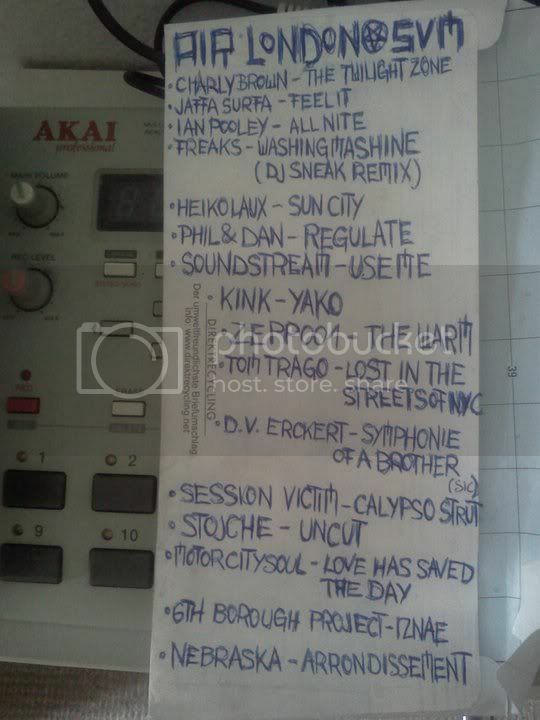 This is a mix I was asked to make for the upcoming Electric Elephant festival in Croatia July 14-18th 2011. I am playing three sets out there including a balearic (or should that be Adriatic) sunset set, a boat party and Sunday night in Barbarellas. I went last year for the first time to The Garden Party and it really blew me away. The mix was recorded on a cold wet day in Leeds but my head was filled with memories of sunshine, ice cold beer and the crystal waters of Petrcane, Croatia. Hope to see you out there this summer and enjoy the mix. Music for beaches. Heavy dnb vibes by Total Science & S.P.Y. Sunny brazil beats mixed by Slovakian DJ Lion Dee. Deep & nu-disco vibes straight from Sydney, Australia by Ken Cloud. The Revenge & Craig Smith aka 6th Borough Project and their mix full of nu-disco vibes for DJ Mag Weekly Podcast. Massive! Such a talented guy this Alessio Arcangeli. Here's a mix of his own production. Deep house & nu-disco. No download link. Some ol' skool atmospheric bizz. More than a month has passed since the last doddiblog podcast episode and here we are again with the next one. 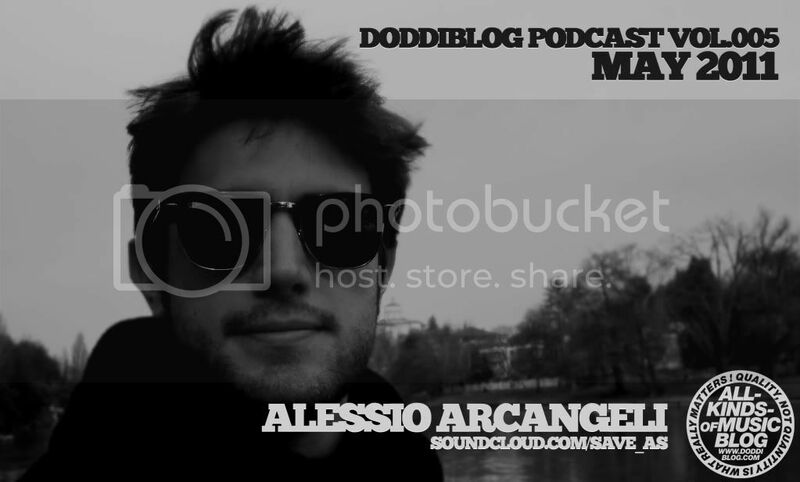 After two dnb parts (soulTec & DJ Lekke) we have a mix of deep house and nu-disco mixed by Alessio Arcangeli, for many of you better known as Save.As who is from Milan, Italy. There is not many of his mixes online, actually I found only two so far, on his own mixcloud page. I am a big fan of his production, which is full of deep house (Save.As moniker) and nu-disco (Alessio Arcangeli moniker) vibes. I started to focus on him more after his very successful EP on The Disclosure Project label entitled QT8. The mix he provided is full of fresh house and nu-disco tracks and some older gems ("Tout Est Bleu" & "For the people, by the people") as well, many of them are his own production or remixes. Hope you enjoy the mix as me! Also don’t forget to check out all previous doddiblog podcast mixes. Short bio after the jump. Over the past 10 years Alessio has been making sounds in every possible way: playing both white and black notes of a piano, slapping bass strings, creating beats, spinning records as well as working as a radio speaker and dj. His style ranges from the deepest shades of house to the funky and jazzy grooves he’s always been loving. Matter of fact his music has been supported by the likes of King Britt, Funk D’Void, Ashley Beedle, The Timewriter, Francesco Farfa, Satoshi Fumi and Steve Mill to name but a few. 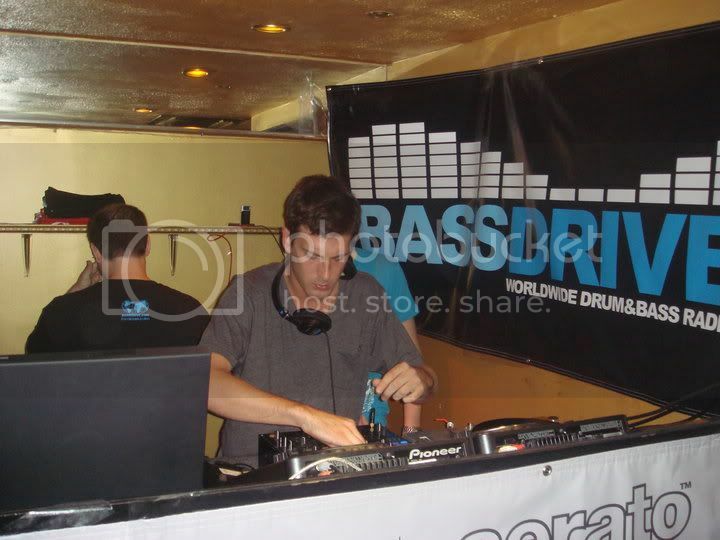 Moreover, in November 2010 he gained much wider attention winning the Zero7 remix competition with a personal version of their international hit “Home”. The present mixtape showcases his passion for dance rhythms in any form they may assume: from 70’s soul classics to the latest deep house trends. Back to my soulful house roots. Eric Kupper is a legend! Berlin Nucast 02 with our good friend Ingo Sänger (Westpark Unit / Farside Rec. / Dessous Rec.). Ingo started DJing quite a while ago in the days when good clubnights included a mixture of Hip Hop, Dancehall, House & Breakbeats. He is part of the duo WESTPARK UNIT (with HERB LF), is producing tunes with HENRY L or MATT FLORES and runs the label FARSIDE RECORDS in cooperation with his friend Winni Petersmann (on the rock). A new mix exclusively for SC. 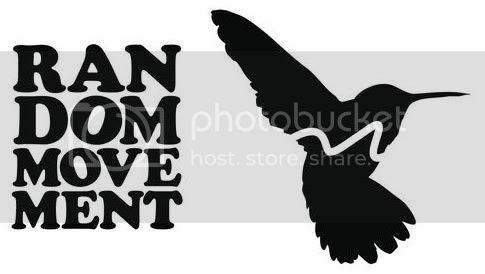 Its something a bit different than what my followers are used to but I do have a wide range as a DJ and believe it or not I can and do play deep house. The mix was recorded live in one take; no tracklist planned in advance but compiled just for you. Hope you guys like it. A studio mix session by LA's "Triple-Threat" that boasts an ample dose of original forthcoming material as well as vocal co-productions. In less than 2 years, Jo-s has re-invented himself as an artist; utilizing his vocal abilities to make it to the top labels of drum and bass such as Shogun Ltd, 31 Records and a recent collaboration with Lenzman on the mighty Metalheadz outfit. This mix was recorded in one take along with additional vocals featuring the original lyrics of Jo-s.